Gary Johnson, the Libertarian candidate for president, recently said something astonishing in defense of his foreign policy ignorance: "The fact that somebody can dot the i's and cross the t's on a foreign leader or a geographic location then allows them to put our military in harm's way." In other words, not knowing where a place is is a good thing because, in Alice Ollstein's witty summary, "you can't get into a war with a country you can't find." 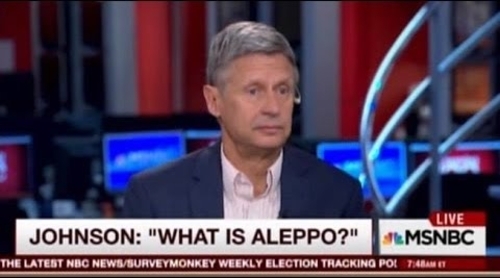 Gary Johnson was widely ridiculed for asking "What is Aleppo?" 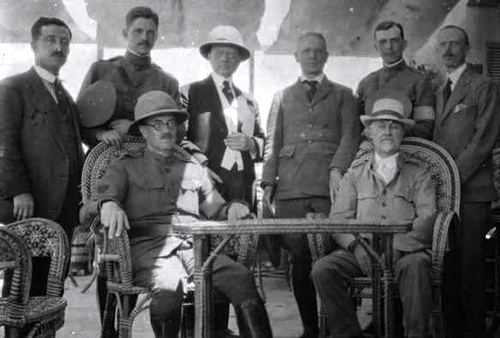 In 1919, President Woodrow Wilson dispatched the International Commission of Inquiry (commonly known as the King-Crane Commission) to Palestine and Syria to ascertain the political wishes of their residents. The leaders of this potentially influential commission monumentally lacked qualifications for the undertaking. 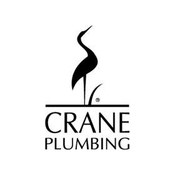 Henry C. King was a philosopher and president of Oberlin College; Charles R. Crane was a busybody, antisemite, and heir to the fortune from his family's plumbing fixture company. Strikingly, their ignorance was seen as an advantage; a presidential aide explained that Wilson "felt these two men were particularly qualified to go to Syria because they knew nothing about it." Secretary of State Robert Lansing, who thought Wilson wrong on this, explained that the president did not want to appoint "persons who are familiar with the subject" of political and territorial questions. Instead, Wilson thought that "an empty mind is more receptive of the truth than one affected by experience and study." Indeed, ignorance is an "essential qualification for an investigator." The King-Crane Commission report, not surprisingly, was (in the words of historian Elie Kedourie) "as ill-informed as its influence on policy was negligible." In 2003, the Bush administration announced John S. Wolf as the new U.S. presidential Middle East envoy (more formally, "chief, U.S. Coordinating and Monitoring Mission for the Middle East peace process"). The Washington Post (in an admiring article titled "For Mideast Envoy, Rookie Status May Be an Advantage") quoted a senior administration official saying that "It's a good thing that he has exceptional negotiating skills and very little direct experience in the area." 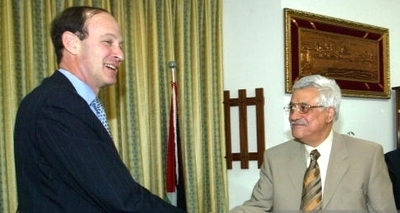 U.S. Middle East envoy John S. Wolf (L) meets with Palestinian Authority leader Mahmoud Abbas in June 2008. Wolf himself admitted a complete lack of experience in the Middle East and later admitted his surprise at the appointment: "I asked Secretary [Colin] Powell, National Security Advisor [Condoleezza] Rice and President [George W.] Bush - why me?" Because they wanted "someone with a fresh view." Wolf agreed on this approach, saying "My lack of experience was an advantage. I learned that in the Middle East, people always tend to look back, and I was asking them to look to the future." Not surprisingly, like the King-Crane Commission, Wolf's diplomatic foray had negligible impact; a mere fourteen months into his mission, he wandered off to become president of the Eisenhower Fellowships, a non-profit. 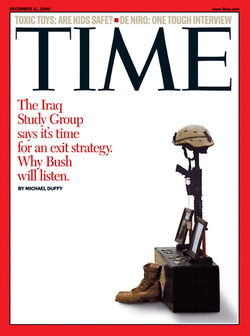 The "Iraq Study Group Report" enjoyed more attention than influence. In 2006, the U.S. government's Iraq Study Group consisted of ten members embodying the same "know-nothing" approach. James A. Baker, III, and Lee H. Hamilton served as co-chairs, with Robert Gates, Rudy Giuliani, Vernon E. Jordan, Jr., Sandra Day O'Connor, Leon E. Panetta, William J. Perry, Charles S. Robb, and Alan K. Simpson the members. Not a single one of these individuals brought expertise on Iraq to the table, virtually guaranteeing that the commission would produce a politically nuanced but strategically useless report. Indeed, the Iraq Study Group Report turned out to be even worse than expected and had minimal influence. As I wrote at the time, it "dredges up past failed U.S. policies in the Middle East and would enshrine them as current policy. Most profoundly, regarding the American role in Iraq, the report moronically splits the difference of troops staying or leaving." Through a century, American presidents and other leaders celebrate Mark Twain's "innocents abroad" mentality that Gary Johnson has just regurgitated. As someone who's spent his near-50-year career working on this topic, the notion that ignorance makes for better diplomacy is pretty depressing; what have I been doing and for what purpose all this time? That said, given the abominable state of Middle East studies and the wretched record of Foreign Service Officers like the Arabists, I must admit that avoiding specialists may have some merit. But surely that does not mean turning to ignorami. Mr. Pipes (DanielPipes.org, @DanielPipes) is president of the Middle East Forum. © 2016 All rights reserved by Daniel Pipes. Nov. 9, 2016 addendum: For updates on this article, see the companion weblog entry, also titled "America's Know-Nothing Diplomacy."